Detergent Free Base Shea Butter base with added extracts. Ingredients: Sodium Cocoate, Propylene Glycol , Sodium Stearate, Glycerin, Water, Sorbitol, Butyrospermum Parkii (Shea) Seed Butter, Titanium Dioxide, GSE Grapefruit Seed Extract, Mango-Peach Fragrance Oil with dried sprinkles on top. 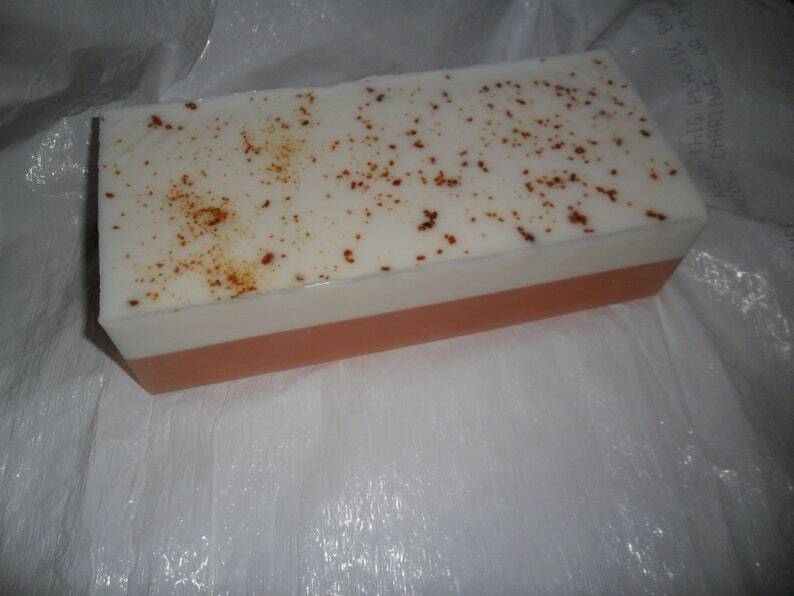 A very cost effective way to purchase your favorite glycerin soap base. Made within 12 hours of order for immediate shipment. Select either Block (unsliced) or Presliced Option.